The classic 1878 facade with the modern crowd awaiting an outdoor concert. It is hard to imagine a much more cosmopolitan way to spend an evening than a night at the symphony. And while we don't have a phantom like the Paris Opera House, we do have Music Hall and its music loving ghosts. Built in 1878, Music Hall is the home to the Cincinnati Symphony Orchestra, the Cincinnati Opera, and the Cincinnati Pops while also hosting some performances from the Cincinnati Ballet. No matter if your taste run towards Bach or the complete John Williams' score for Harry Potter (like this writer) you can find a concert here. Having reopened in October 2017, after a 16-month long renovation, Music Hall retains its historic edifice but you can now enjoy improved acoustics and, most important, more leg room between the seats (those 5'10" and over will understand). To see an upcoming event list click here. Cincinnati has a complicated relationship with its sports teams. On the one hand there is a LOT of fan loyalty, on the other there is a LOT of fan disappointment. But no matter how the teams are doing- it is always fun to go to a game. With an awesome outdoor (burr in the winter) stadium located at one end of the riverfront district known as The Banks- this is a classic NFL experience. While some residents have gotten season tickets in the past, most end up going to 1-2 games a year. 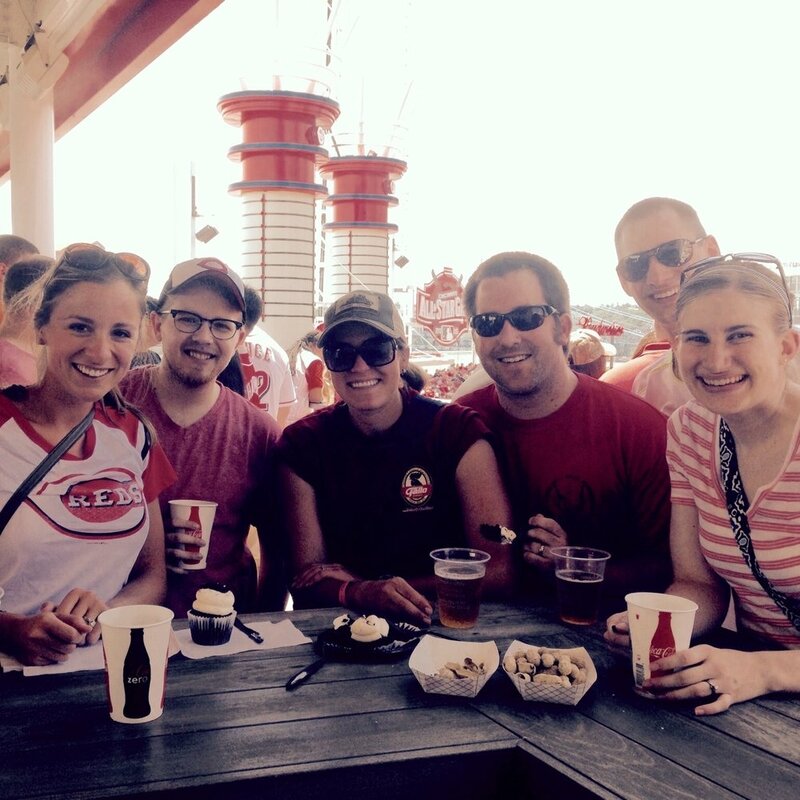 At the other end of The Bank, one can get peanuts, a Coney and a view of the Ohio River while watching our Red Legs. Even more fun are Friday night games which are followed by fireworks. Every year one of our welcome events for the interns is held here. One of the newer teams to join the area is this United Soccer League club. Games are currently held at the University of Cincinnati campus however a new stadium is currently planned for the Oakley area. The increased interest in soccer has even prompted some friendly matches to be held here, including the FIFA World Cup champion U.S. Women’s National Team and New Zealand back in Sept 2017.
Who knew that hockey could be so much fun. They play for much of the winter and often have themed or discount nights! Welcome to Eden Park- a nearly 200 acre park located in the heart of Cincinnati (and about 1 mile from Christ Hospital). Not only is it home to a beautiful view (see below) but also running trails, museums and theater spaces. View from the outlook at Eden Park. A perennial favorite is the the Krohn Conservatory. The current building was completed in 1933 and contains over 3,500 different species. But it really comes alive in the winter with Cincinnati Choo Choo when miles of train tracks and a miniature Cincinnati are set up around the plants. The exterior of this art deco gem. We also LOVE the Cincinnati Art Museum, which is great to visit when you are in town for your interview. Not only in admission free but they have an excellent collection with rotating special exhibits and events. 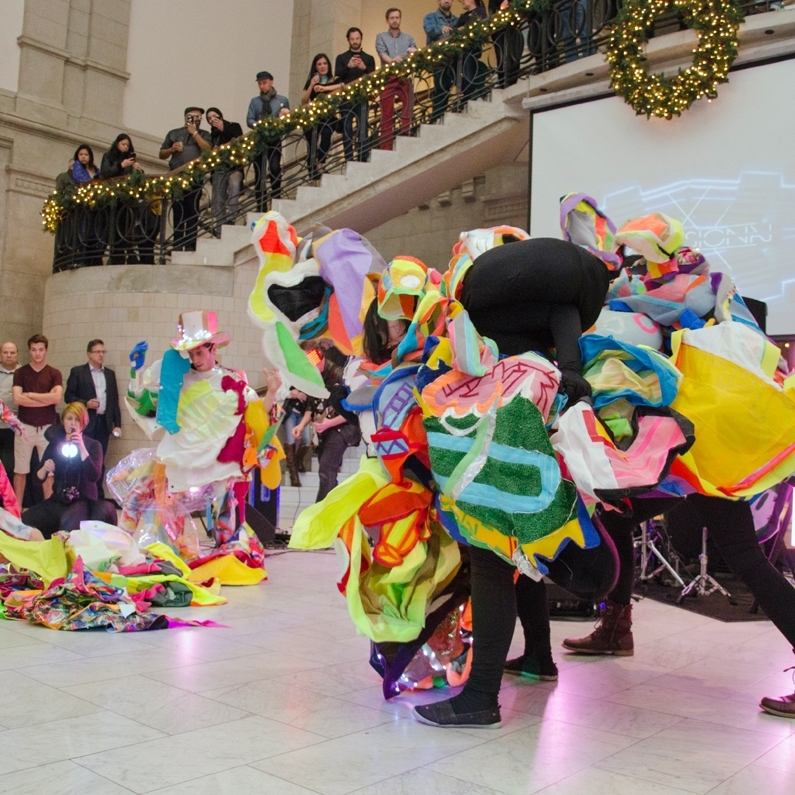 Currently the Art After Dark program which occurs the last Friday of the month is a great way to get your culture on. One of the recent Art After Dark events. I'm Gonna Let You Finish Mr. Clemens but... Fiona! This will be an ongoing series... to see the first post click here. The last 6 months in Cincinnati has been dominated by one woman. Her name is Fiona and she is a baby Nile Hippopotamus born 6 weeks early in Jan 2017 at the Cincinnati Zoo. At first she required around the clock care and even had nurses from CCHMC come to place an IV- but she has come a long way from those early days. She now spends time with her parents, Bibi and Henry, and enjoys having her picture taken by fans. Every step of the way has been chronicled with daily photos from the zoo. The local Fiona love has extended far beyond her daily update- and we couldn't be more excited! You can now get Fiona shirts, ice cream (toffee ice cream base, salted roasted peanuts and milk chocolate caramel truffles), and even beer (New England style IPA). The baby boom at the zoo only seems to continued. In July 2017 we saw the birth on Kendi- an eastern black rhinoceros. In March 2017 Meg, a baby takin, was born and adorable. We also have the tiger triplets and an armadillo from Feb 2017 and giraffe from late 2016. In our heads they are all friends, but we can't confirm that. We do usually have our second look event at the zoo so we can always find out. Photo credits for animals- Cincinnati Zoo website and Instagram. PS. you should follow them for a daily dose of cute! Mark Twain is suppose to have said "When the end of the world comes, I want to be in Cincinnati because it’s always 20 years behind the times*." With all due respect this is no longer true of the Queen City! 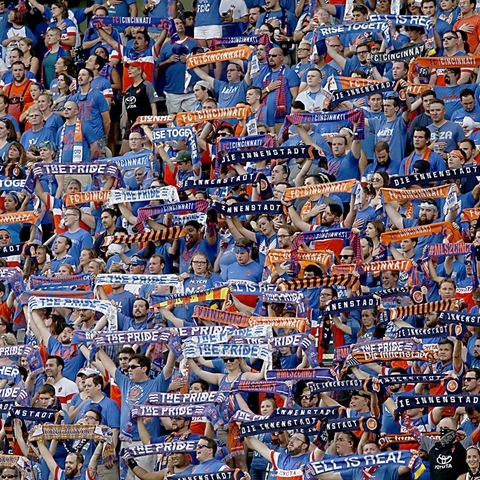 From the redevelopment of the historic downtown district, Over-the-Rhine (or OTR for short), to the record breaking attendance of the new profession soccer team, FC Cincinnati, this city is undergoing a transformation - and is a great place to complete residency. One example of a local favorite spot is Woodburn Ave located in East Walnut Hills. Less than 5 minutes from the hospital many residents and faculty choose to make this community their home. It is an up-and-coming hipster-hood with small restaurants, art studios, bike stores and the always popular O-Pie-O (which only serves pie based foods- think tarts, pot pies, quiches, empanadas, and of course the seasonal pie-a-la-mode). You can often find a group of residents celebrating a birthday (as pictured here), playing trivia, supporting local businesses during the Friday night Walking-on-Woodbrun event, or taking their pets to one of the dog-friends eating spots! *a note to the history buffs, according to "The Quote Investigator" Mark Twain may not have actually uttered these words... but it is such a common story we will let it slide.